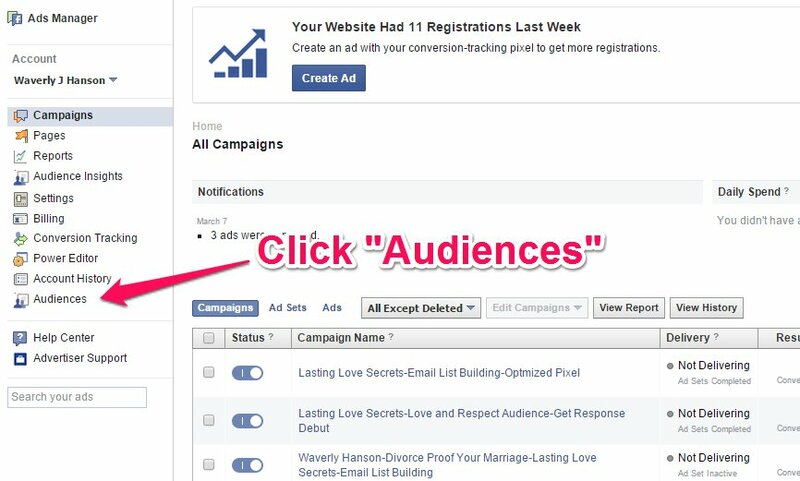 The latest improvement that I implemented in my Facebook Ad campaigns is the use of Lookalike Audience. So far, it gave me great results. 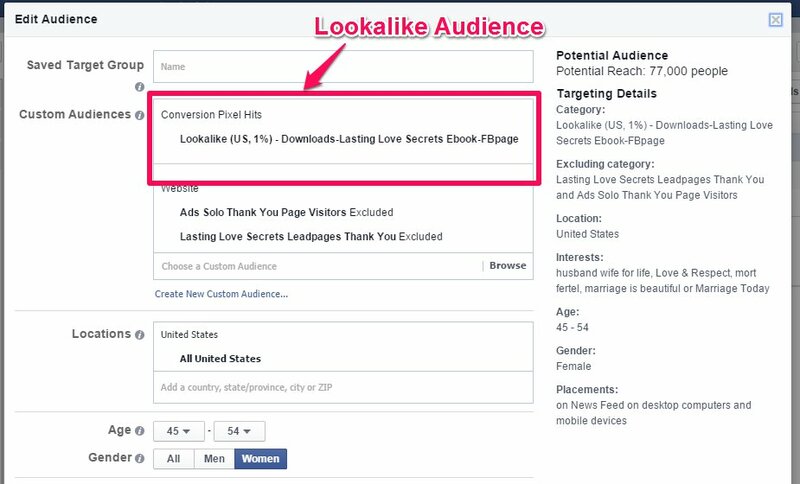 In this post, I will show to you how to create a Lookalike Audience derived from Facebook’s conversion tracking pixel and of course the awesome results that it gave to me! First thing that needs to be perform is to create a Lookalike Audience. 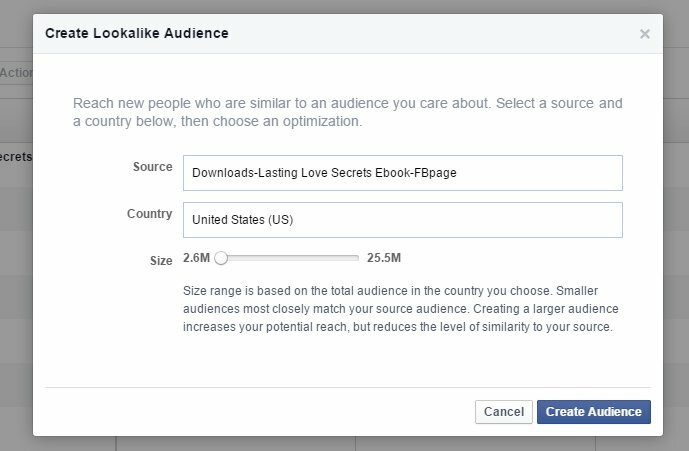 This can be done at the Facebook Ads Manager. After you access the Audiences section of the Ads Manager you click Create Audience and choose Lookalike Audience. A pop-up will appear wherein you will choose the source of your Lookalike Audience, which country and the size. In our case, we will choose the conversion tracking pixel that we were using since Day 1 of the campaigns. The country will be United States at the least size. Then click Create Audience. It will take about 24 hours before the Lookalike audience will be ready and can be used in Facebook campaigns. Facebook will use the information derived by the conversion tracking pixel to create a new set of audience with similarities to the people who converted. When the latest Facebook campaign was created, the Lookalike audience was included in the target audience. The optimization type was change to oCPM from CPC. The results were really astonishing! It got 31 conversions with the lowest Cost Per Conversion which is only $1.38! The total amount spent is only $42.93 which is 25% lower that the previous Facebook campaign! There you have it! You saw the power of Lookalike audience. It really takes a lot of patience in getting initial data in order to form the Lookalike audience but it will pay off. In my next post we will tackle the new feature of Facebook Ads which is the Multiple Image feature that will allow the audience to scroll within the ad. Do you have any comments of questions about this post. Please contact me using the contact form below.